Employees spend a big part of their waking hours in their workplaces. So, naturally, the work environment has a lot to do with the well being of employees. According to Josh Bersin, managing people in an organization is said to be the number one challenge faced by companies in 2018. Here, managing people refers to everything from attracting talent, recruiting,retaining employees and recognizing them at the workplace. Employee turnover, employee disengagement, job-hopping, degrading performance level, all these terms are becoming more and more common in the HRM landscape. Needless to say, these factors are impacting every company’s bottom-line. However, Good news is, organizations are finally focusing more on establishing employee engagement and improving the overall employee experience for their employees. The entire human resource management sector is evolving at a stunning rate. Technology has become a big part of the equation. It is the time for advanced, efficient and technology-driven employee engagement platforms and human resource management solutions. So, if you feel like you aren’t doing much for your employees, trust me, the consequences could be grave! WHY ARE TRADITIONAL WELLNESS PROGRAMS INEFFECTIVE? HOW TO CREATE AN EFFECTIVE CORPORATE WELLNESS PROGRAM? Workplace wellness initiatives are the health promotion activities or policies designed to enhance healthy behavior in the workplaces. Employee health and wellness initiatives are not a new concept. The idea has been there in the form of health insurances, accident coverage, biometric screenings, health education, etc. A Corporate Wellness program is the collection of all the company sponsored health and wellness initiatives that are designed to improve the well-being of the employees. Promoting health and wellness at the workplace is a big part of creating a holistic work environment. Why? For the simplest reason that one cannot separate the mind and body. You can’t expect innovative thinking, elevated performance level, higher job motivation from your employees if they are not in their best possible health. Hence, there can be no place better than the workplace itself to encourage employee health. Work-related mental health issues and sedentary lifestyle problems are becoming norms of corporate lifestyle. Every year companies incur a lot of money on health insurances and medical coverages. And the numbers are simply increasing every year. Despite being aware of the interrelationship between employee health and productivity at work, what is it that most organizations are doing wrong or not doing? The answer is: Companies are just not doing much to improve the work environment. Like the old saying goes, an ounce of prevention is worth a pound of cure! Traditional corporate wellness programs focus mostly on the** cure** rather than prevention. And* that* is making all the difference. Health and wellness initiatives are not like other forms of employee benefits. Because Health is an inseparable part of one’s life. To make workplace wellness a reality, health must become an integral part of the company’s culture. Awareness is the greatest agent for change. Everything you want to do starts with creating awareness. First, you can start off your corporate wellness program by creating health awareness and promoting health education. Make your employees aware of the facts and statistics related to various lifestyle issues. Additionally, let them know how different lifestyle anomalies are impacting the health in the long run as well as the short run. This works because fear is a great motivator. Moreover, you cannot inspire someone to do something unless they know why they are doing it. Next, is to make sure that this motivation isn’t short-lived. Make the process so smooth and convenient for them that it becomes hard for them to escape from it. Ensure that the** continuity of your employee wellness program is maintained**. And finally, demonstrate the results to them and appreciate them for their improvement. Because that’s what will keep them going! Remember health improvement, in the long run, is what we are after. Vantage Circle’s corporate health and wellness program VantageFit work on this very theory. It focuses on promoting a healthy lifestyle and not just on short-term participation. The program has a 12-week health program where each week it focuses on a different health aspect. Users are given tasks and challenges each week according to the health theme. Various themes of the application are Yoga week, green leafy vegetable week, heart-health awareness week etc. Now let’s proceed to the next challenge, that is understanding YOUR workforce. Before you present any program to your employees, you must understand the drivers in which your employees are aligned. Same goes for a corporate wellness program. The participants of the program shouldn’t just be the ones who are already fit. To maximize your ROI, your job is to invest in a comprehensive corporate health and wellness. A program that will cater to the diverse needs of your diverse workforce. A huge part of your workforce probably consists of millennial and Gen Y employees of the age group 23-45. These young employees are extremely health conscious! They are all about self-care, self-awareness, self-quantification, and self-love. For them, being healthy is not just the state of being disease-free, the definition has become much much broader. In Fact, in the recent times, health consciousness has become a trend. Health awareness is spreading significantly among people from all age groups. But having said that, they too are human and their motivation can fluctuate. Moreover, they are the prey of the fast-food culture and the fast-paced corporate lifestyle. They want to do a lot of things that their schedule just doesn’t permit them. All they need is a push from your side and they’ll do great! It is important to understand the dynamics of the health behavior of your employees. 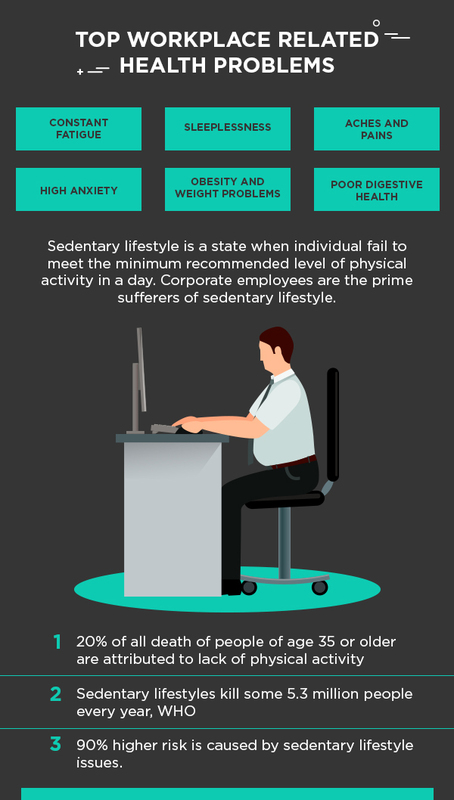 You need to study the sedentary lifestyle pattern or the reasons for which employees constantly feel under-stress. And then, identify the main areas they need to improve. Finally, choose an all-inclusive health and wellness program that that best suits your workforce. To be in-line with your employees, you have to get inside their head and be at their fingertips. All at the same time. Your employees are basically digital natives, the only form of socializing that they are good at is socializing in social media. That is where they connect to people and form bonds. So, if you wish to promote your Corporate wellness program, take it to social media, and it will work. With over 2.5 billion people on social media, Facebook, LinkedIn, and Youtube is emerging as giant marketing channels. Thus, promoting via these channels will create a buzz and added willingness among employees to take part. A Corporate Wellness program must have a digital angle. Gone are the days when being healthy was switching to greens or cutting carbs. Physical activities have become a much bigger part of the plan. With that, the need to quantify the health improvements have also increased. With the growing popularity of Health wearables and Fitness trackers, quantifying one’s health journey has become easier than ever. Similarly, your employees are seeking for such a tech-forward solution to analyze their healthy lifestyle. However, an even easier and affordable solution is to make the application mobile based. Cell phones provide access to a variety of health applications to use on the go. Having all these trackers at one place will make the whole process hassle-free, comfortable and smooth. You must’ve already got the cue that your program must be an online one. If your program doesn’t have an online presence, then it simply does not have a presence at all. The next step is that it should be to make accessible through mobiles. Cell phones are everybody’s’ best friend, something without which people don’t ever leave their homes. Hence, mobile based applications ensure more participation and engagement. The goal is to provide a health and wellness program that gives the users a seamless, convenient and hassle-free experience. One that slowly becomes a part of the lifestyle. The term Gamification refers to incorporating elements of gaming like competition, scores, guidelines, leaderboard, new levels etc to a program. Gamification is the new buzzword in business and it’s for all the right reasons. It is the best way to grab the attention of your employees and make their wellness journey engaging. Also, friendly competition and peer to peer engagement improve communication within the organization. 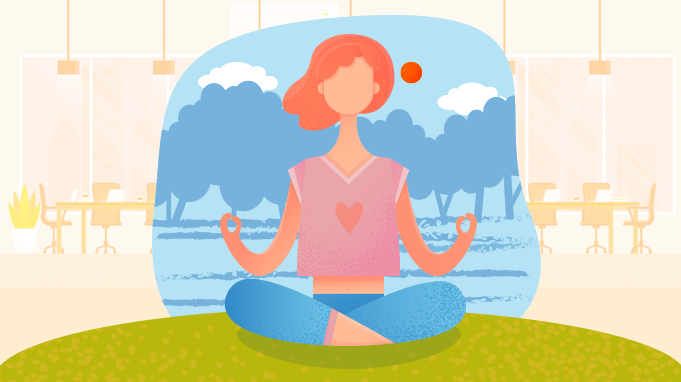 How to Make Your Corporate Wellness Initiative a Success! A health and wellness program must be primarily health-focused. It should have clear priorities, clear guidelines and goals. A Corporate wellness program should be very clear about aspects of one’s health it will look into. The program should be designed in a way that it improves the health condition of your employees in a step-by-step manner. Let’s say obesity is a top health issue faced by your employees. The program must then prioritize activities such as weight management programs, diet-plan etc. A workforce naturally consists of a diverse range of people who have different health needs. What they want is a menu of health solutions for their vivid and broader definition of well being. You want to look for is an integrated program that will cater to their needs. In order to do that, the program should try to cover as many trackable measures as possible. It should have primary features (meal tracking, calorie counter, water intake tracker) as well as specific features (heart rate monitor, physical activity tracker). Community participation is a great driving force in corporations. This has both good and bad sides. Smoking habit, one of the biggest health problems of our generation, is often driven by peer influence. It is possible to create similar peer influence to drive health awareness at the workplace as well. 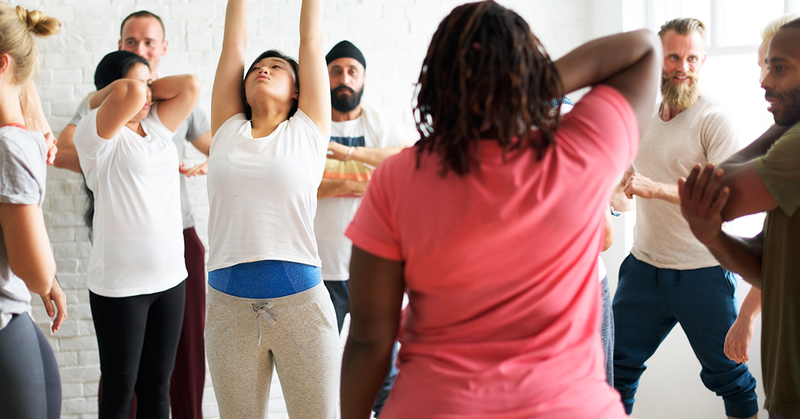 A corporate wellness program, therefore, must focus on community-driven engagement. It should have team activities and team contests and leaderboards. Peer engagement is a great motivation and it will guarantee the success of the wellness program. Additionally, it will enhance peer-peer communication within the organization. Like we were just discussing, different people have different needs. Similarly, different people have different fitness goals and health expectations. It’s extremely necessary that the program can be customized according to their needs. For eg., some might wish to lose weight while some might just want to maintain weight. The program must have the feature to be adjusted or customized accordingly. This will simply make the program more relevant and convenient. You must be able to quantify the success of your Corporate Wellness program to ensure a good ROI. It can be done when you’re able to record, monitor and analyze the health pattern of your employees. The program, therefore, should give real-time analytics and deep insights on participation and health trends of the employees. Also, the program should ensure a smooth management. Management should be able to conduct events and run awareness campaigns if/when they feel like. Adding incentives and rewards to a program is a great proposition. Rewards have the power to give one the feeling of true achievement that will make the whole experience fun and enjoyable. It creates more willingness among employees to give their best. Also, it reflects your sincere effort towards promoting wellness at the workplace. One of the very important features that you would want to look for in a Corporate Wellness program is global distribution. A global distribution system is a worldwide computerized network system that enables you to manage a program from anywhere you are. The system uses a single access point for all actions. For instance, you can be sitting in any part of the world say LA, and you will be able to manage your health initiative for your employees located in different parts of the world. Although, having a sound employee wellness program has numerous direct and indirect benefits, here are my top 6 picks. A healthy mind resides in a healthy body. Likewise, a healthy and balanced lifestyle results in improved sleep cycles, reduced anxiety and stress, improved mood. All these things collectively improve work motivation. An effective Corporate wellness program reduces absenteeism among your employees. Absenteeism is one of the top reasons for degrading the growth of a company. Any program that decreases absenteeism is a smart investment. Poor work productivity is characterized by employees physically being at work but not actually working. A health and wellness program decreases the poor productivity among your employees and improves the overall work productivity and performance level. Having a wellness program presents a caring image of the company. When organizations take such extra effort to improve the health of their employees, the employees feel valued and cared for. 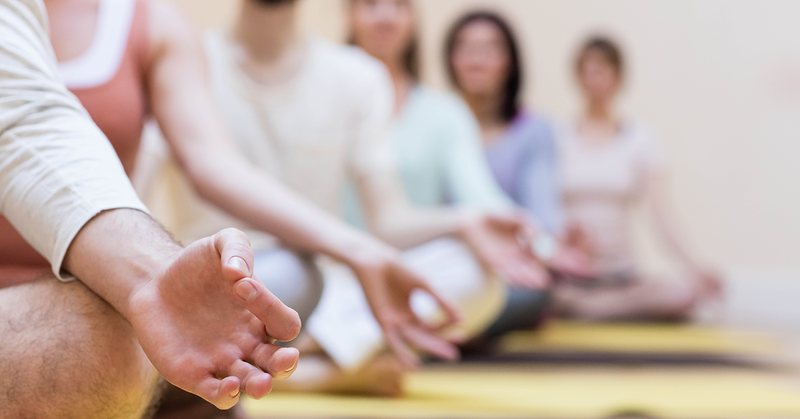 A sound Corporate wellness programdrives employee engagement. Providing healthcare to employees is an ethical as well as a financial responsibility of an employer. So why not do it in the best way? Having a corporate wellness program is directly and indirectly beneficial to the company in many ways as we have discussed in the blog. All your employees seek in a personalized and technologically advanced approach. You give them that and your program is destined to be a success! To sum up, a sound corporate wellness program is in every way a “win-win” situation. Medical and healthcare costs rising at an alarming rate and so are are the risks of health crises. It won’t be an overstatement to say that promoting health and wellness at a workplace is indeed the need of the hour. This article is written by Darsana Dutta. Darsana works as a Content Creator in Vantage Circle. She is a big time Human Resource Management enthusiast, she loves keeping herself up-to-date about the latest trends around Employee Engagement. She is a painter, a passionate book-worm and an Aquarian inundated by nature.